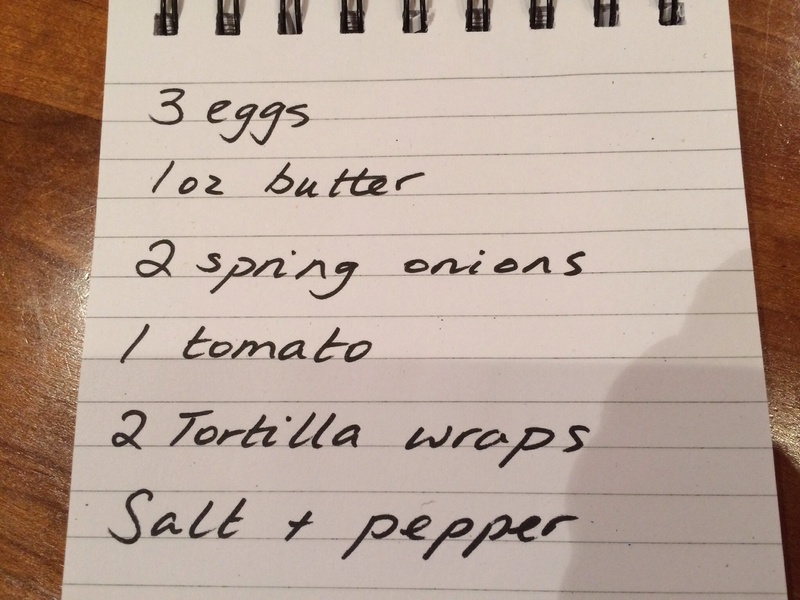 Scrambled egg wraps with tomato and spring onions. 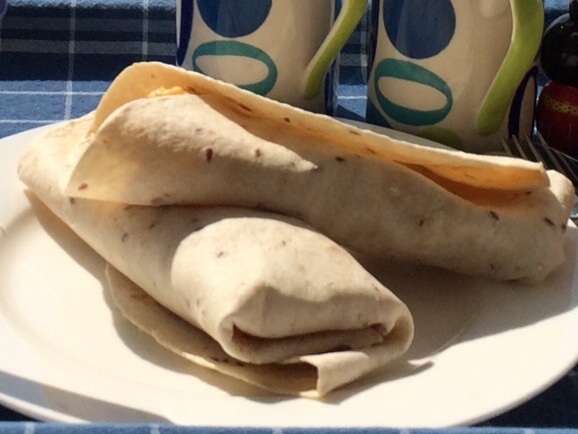 Tasty scrambled egg with tomatoes and spring onions, rolled in a multi grain wrap. Great for a quick supper or breakfast by the sea! 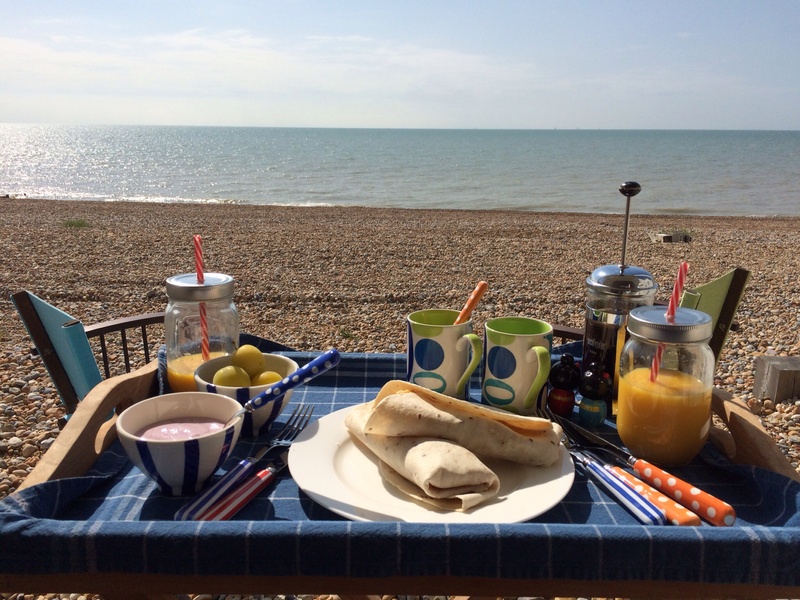 I’ve got a little stove in my beach hut and so this is a nice little breakfast treat by the sea. Melt about an ounce of butter in a frying pan. Whisk 3 eggs together adding some salt and pepper. 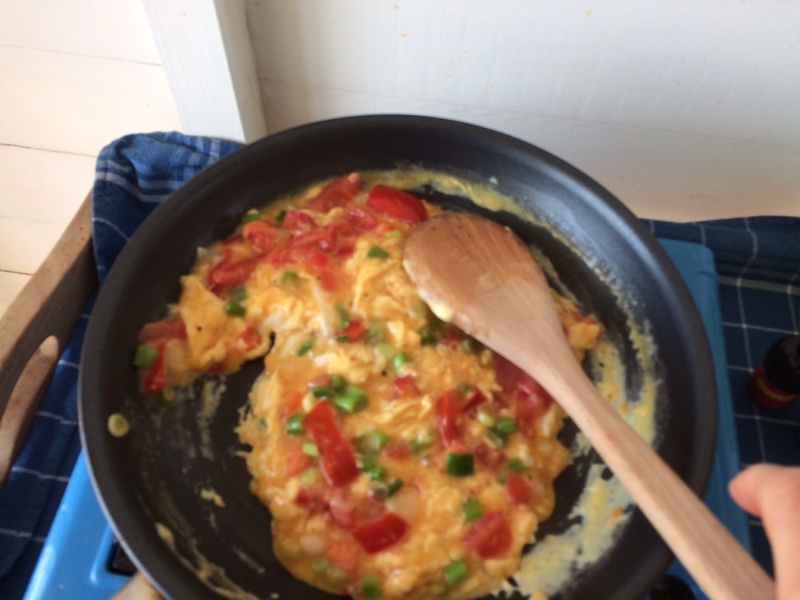 When the butter has melted add one chopped tomato and 2 chopped spring onions. Gently fry for a minute or two and then add the eggs stirring the mix around the pan for a few more minutes until the eggs are scrambled. Put a tortilla wrap on a plate. Put half of the mixture in a strip in the middle of the wrap. Fold the bottom quarter of the wrap up over eggs and then roll the right hand side of the wrap over the eggs to make a roll. Repeat with the other wrap. ← Breakfast on the beach.